In her talk at Resilience 2011, Elinor Ostrom recommended a recent paper by her colleagues that reviews 91 studies that empirically evaluated her design principles for for resilient institutions for the management of common pool resources. 1A User boundaries: Clear boundaries between legitimate users and nonusers must be clearly defined. 1B Resource boundaries: Clear boundaries are present that define a resource system and separate it from the larger biophysical environment. 2A Congruence with local conditions: Appropriation and provision rules are congruent with local social and environmental conditions. 2B Appropriation and provision: The benefits obtained by users from a common-pool resource (CPR), as determined by appropriation rules, are proportional to the amount of inputs required in the form of labor, material, or money, as determined by provision rules. 3 Collective-choice arrangements: Most individuals affected by the operational rules can participate in modifying the operational rules. 4A Monitoring users: Monitors who are accountable to the users monitor the appropriation and provision levels of the users. 4B Monitoring the resource: Monitors who are accountable to the users monitor the condition of the resource. 5 Graduated sanctions: Appropriators who violate operational rules are likely to be assessed graduated sanctions (depending on the seriousness and the context of the offense) by other appropriators, by officials accountable to the appropriators, or by both. 6 Conflict-resolution mechanisms: Appropriators and their officials have rapid access to low-cost local arenas to resolve conflicts among appropriators or between appropriators and officials. 7 Minimal recognition of rights to organize: The rights of appropriators to devise their own institutions are not challenged by external governmental authorities. 8 Nested enterprises: Appropriation, provision, monitoring, enforcement, conflict resolution, and governance activities are organized in multiple layers of nested enterprises. a probabilistic, rather than deterministic, interpretation of the design principles is warranted. Likewise, we remain uncertain as to whether the principles may apply to systems at a variety of scales. Ultimately, however, the design principles are robust to empirical testing in our analysis of 91 studies. Thus, we conclude that they are a sound basis for future research conducted to further disentangle the interactive effects of relevant variables, both within and across multiple environmental and social scales. Aside from our empirical analysis, we dealt with an important theoretical debate regarding the principles: Are they inherently part of a blueprint approach to CPR management or can they be combined with a more diagnostic approach? We think the latter is the case, and this points us in a specific direction for future research. Each of the aforementioned empirical complications could likely be addressed by approaching CPR management from a diagnostic perspective. This is a process that helps to sort out what is important in a CPR setting, when, and why. We hope to see and plan to participate in future work to develop this approach further. Sturle Hauge Simonsen from Stockholm Resilience Centre has told me that you can freely download Centre seminars and presentations from iTunes. Many shorter presentations are available on YouTube. Speakers in the iTunes talks includes a diverse group of well known scientists such as Elinor Ostrom, Buzz Holling, Claire Kremen, Pavan Sukhdev, Frances Westley, Terry Hughes, Karen O’Brien, and Johan Rockström. In total there are over 50 talks by a multi-disciplinary set of sustainability science researchers, including me. You can download iTunes for free here. Once you have downloaded and opended iTunes, you can find all the SRC’s lectures and seminars by going to the iTunes store, going to podcasts, and searching for Stockholm Resilience Centre in the top right corner of iTunes. KELLY: Now, to a Nobel of a more recent vintage. 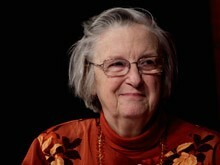 Elinor Ostrom won the Nobel Prize in economics last year for her analysis of economic governance. We’ve reached her in Bloomington, Indiana, where she lives and where she teaches at Indiana University. And, Professor Ostrom, how’s the last year gone? Professor ELINOR OSTROM (Indiana University): Well, you have no warning of the heavy, heavy demands on you afterwards. It is a very great thrill to win a Nobel Prize, and I’m very, very appreciative. But I was not fully prepared for the amount of interest around the world. And I’m coping, but it’s been very intense. KELLY: A lot of calls from people like us wanting to interview you and on speaking invitations, that type of thing. Is that what you mean? Prof. OSTROM: Yes, yes. I’ve been receiving about 15 invitations a week, and I am no longer able to accept any talks during 2011. Prof. OSTROM: And the accumulation for 2012 is piling up, and I’m going to have to tackle that in another couple of weeks. KELLY: Well, do you enjoy doing this? It sounds like you’re traveling a lot, meeting interesting people. Prof. OSTROM: Yes, I am traveling a lot, and I do enjoy it. But I also am teaching, and I have ongoing research and graduate students. And keeping up with it all is a challenge. KELLY: Well, I have to ask, what did you do with the prize money? Prof. OSTROM: Oh, well. We have a very, very active research center here at Indiana University. And our foundation is very responsible, so I gave the full sum to the Indiana University Foundation as part of an endowment to support ongoing research. KELLY: You know, here’s one thing I wonder. Winning a prize as huge and prestigious as the Nobel could, I guess, influence you in a number of different ways. And I wonder does it, in some way, take a bit of the pressure off to have had your work – your lifetime’s work recognized at that kind of level? Does it take a bit of the pressure off in terms of what you feel you still have to do? Prof. OSTROM: I wasn’t aiming to win a prize. And so winning it doesn’t take pressure off in terms of future research. Colleagues and I have been puzzling about a variety of key issues. It’s a big challenge, and we’re still working on that. KELLY: You were kind enough to speak to us last year when you won. And you are the first woman who won the Economics Nobel. I remember when we spoke to you last year, we asked you about that and whether this opens the door for more opportunities for women. Have you been able to see any of that come to fruition? Prof. OSTROM: Yes, I think. I’m very pleased that women will not be facing the conditions that I faced where I was repeatedly asked why I needed education when I would be barefoot pregnant and in the kitchen. Prof. OSTROM: So I think that phrase isn’t going to be repeated to current graduate students as frequently as I heard it. KELLY: Good. Well, it’s been great speaking with you. Thanks so much, Elinor Ostrom. Should Political Science Be Relevant? Gerry Stoker shared “a wicked thought” […]. What if he called as many senior figures in political science as he could reach and asked them “if they had ever said anything relevant in their entire careers”? Rothstein, […], said that maybe the problem to discuss isn’t whether political science is relevant, but whether American political science is relevant. “If you want to be relevant as a discipline,” he said, “you have to recruit people who want to be relevant.” And in this respect, he said, American political science departments are not doing well. Elinor: Well, relieved in that I was doing a bunch of research through the years that many people thought was very radical and people didn’t like. As a person who does interdisciplinary work, I didn’t fit anywhere. I was relieved that, after all these years of struggle, someone really thought it did add up. That’s very nice. And it’s very nice for the team that I’ve been a part of here at the Workshop. We have had a different style of organizing. It is an interdisciplinary center—we have graduate students, visiting scholars, and faculty working together. I never would have won the Nobel but for being a part of that enterprise. Fran: It’s interesting that your research is about people learning to cooperate. And your Workshop at the university is also organized on principles of cooperation. Elinor: I have a new book coming out in May entitled Working Together, written with Amy Poteete and Marco Janssen. It is on collective actions in the commons. What we’re talking about is how people work together. We’ve used an immense array of different methods to look at this question—case studies, including my own dissertation and Amy’s work, modeling, experiments, large-scale statistical work. We show how people use multiple methods to work together. Elinor: Shaming and honoring are very important. We don’t have as much of an understanding of that. There are scholars who understand that, but that’s not been part of our accepted way of thinking about collective action. Fran: Do you have a favorite example of where people have been able to self-organize to manage property in common? Let’s think about this a bit. In the valleys, they use private property, while up in the alpine areas, they use common property. So the same people know about private property and common property, but they choose to use common property for the alpine areas. Why? Well, the alpine areas are what Netting calls “spotty.” The rainfall is high in one section one year, and the snow is great, and it’s rich. But the other parts of the area are dry. Now if you put fences up for private property, then Smith’s got great grass one year he can’t even use it all and Brown doesn’t have any. So, Netting argued, there are places where it makes sense to have an open pasture rather than a closed one. Then he gives you a very good idea of the wide diversity of the particular rules that people have used for managing that common land. Fran: Why were Netting’s findings so surprising to you? Elinor: I had grown up thinking that land was something that would always move to private property. I had done my dissertation on groundwater in California, so I was familiar with the management of water as a commons. But when I read Netting, I realized that when there are “spotty” land environments, it really doesn’t make sense to put up fences and have small private plots. Fran: If you were to have a sit-down session with someone with a big influence on natural resources policy say Robert Zoellick, head of the World Bank, or Ken Salazar, Secretary of the U.S. Department of the Interior, what would be your advice? Elinor: We need to get people away from the notion that you have to have a fancy car and a huge house. Some of the homes that have been built in the last 10 years just appall me. Why do humans need huge homes? I was born poor and I didn’t know you bought clothes at anything but the Goodwill until I went to college. Some of our mentality about what it means to have a good life is, I think, not going to help us in the next 50 years. We have to think through how to choose a meaningful life where we’re helping one another in ways that really help the Earth. Fran: Let’s look ahead 20 years. What would you hope that the world will understand about managing common property systems? Elinor: What we need is a broader sense of what we call “social ecological systems.” We need to look at the biological side and the social side with one framework rather than 30 different languages. That is big, but I now have some of my colleagues very interested. Some of them are young, and what I find encouraging is that with a bunch of us working together, I can see us moving ahead in the next 20 years or so. Twenty years from now, at 96, I probably won’t be as active. Elinor Ostrom wins Nobel Prize!